Download the track for Free! 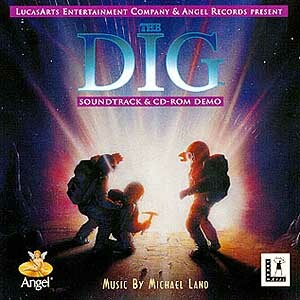 I absolutely love The Dig, and believe that the rich ambiance bestowed by the ethereal soundtrack was the foundation to sculpting the otherworldly alien landscape for the player. The soundtrack can easily be adapted to either sci-fi exploration or a more fantastical setting. Anyone familiar with the game will know the music, anyone else should sample both.